The beach was a 5 minute scooter ride from the Ipanema Surf House. There is very little traffic along the road to the beach, actually there isn’t much of anything. 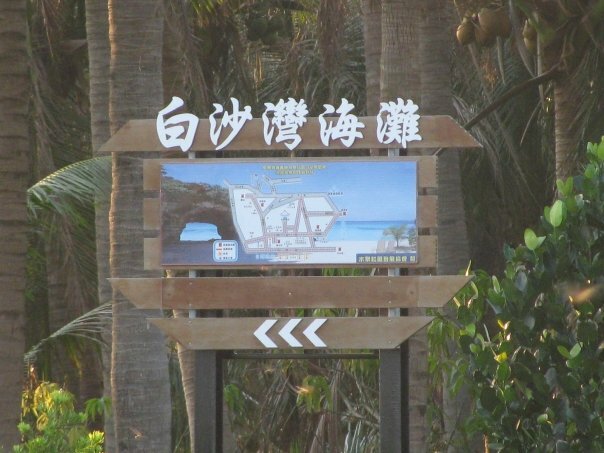 There is a sign by the turn for the beach. It cost 10TWD to park a scooter there and 30TWD for a car. To rent a big umbrella, it is 300TWD, but I didn’t think it was worth it. 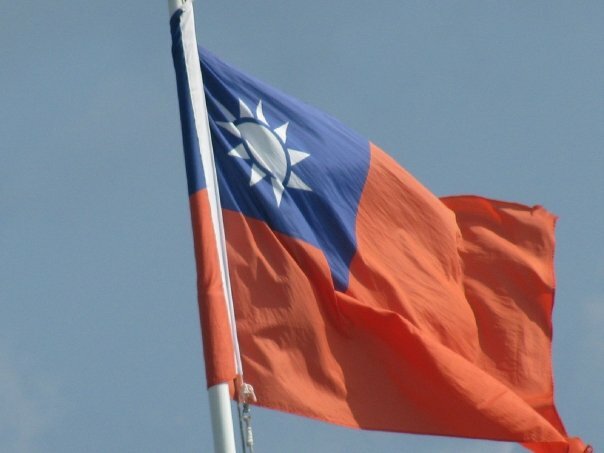 It was unforgivably hot in Taiwan. Around noon it was even too hot to go swimming. So, I would wake up early in the morning and go swimming. I had the beach all to myself. Even the people selling stuff wouldn’t be up yet. I would go back again in the evening. At that time there would be a huge crowd of about 6 people. The beach gets a bit more crowded on the weekends, but during the week people don’t show up until about 9:00am. I would leave around 9:30am. 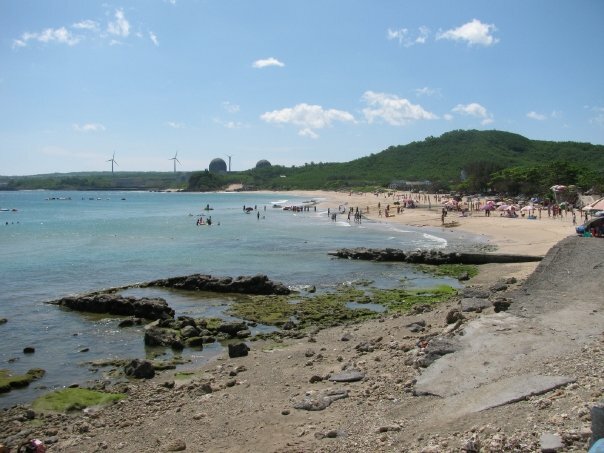 That gave me enough time to shower and head out for the town of Hengchun for lunch before the temperature got too high. 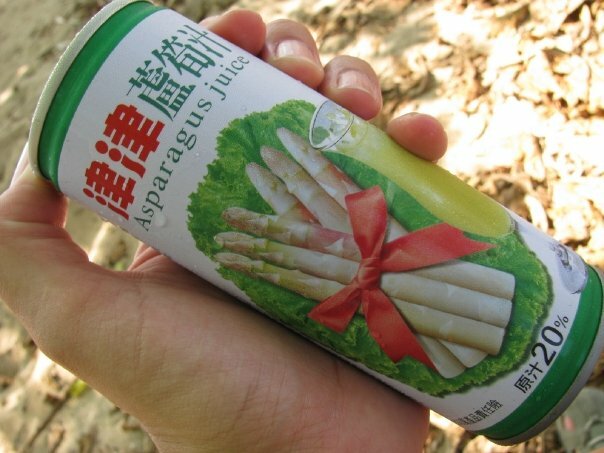 I have to say that the food I tried in Taiwan wasn’t all that great. It wasn’t bad, but it wasn’t as life-changingly delicious as Thai or Vietnamese food. 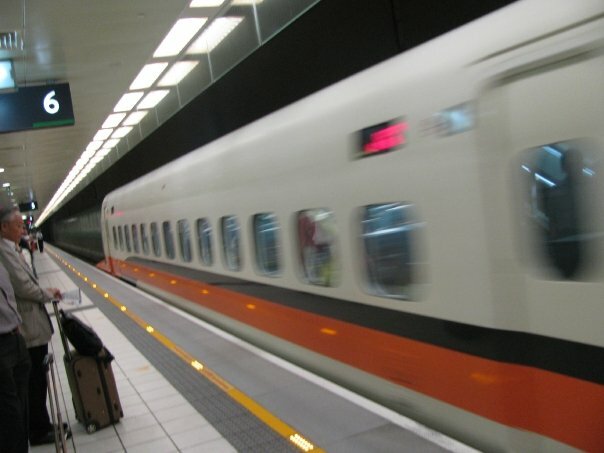 Maybe when I go back to Taiwan to see Taipei I will get to taste better food. There was one restaurant called Bossa Nova. The food and service were okay. I was a little freaked out when an employee’s five-year-old daughter showed up. She came skipping in and a waiter sat her on a table. She took off her shoes and started walking on the table with her bare feet. No one told her to stop. When she finally hopped off the table no one bothered to clean the table top. I eyed my own table suspiciously looking for footprints. Swimming all day isn’t much fun when you have to leave every time you get hungry and feel like passing out around noon because of the heat. So, one day after my morning swim, I did a little sightseeing; just one day. This was after all, a week of relaxation. 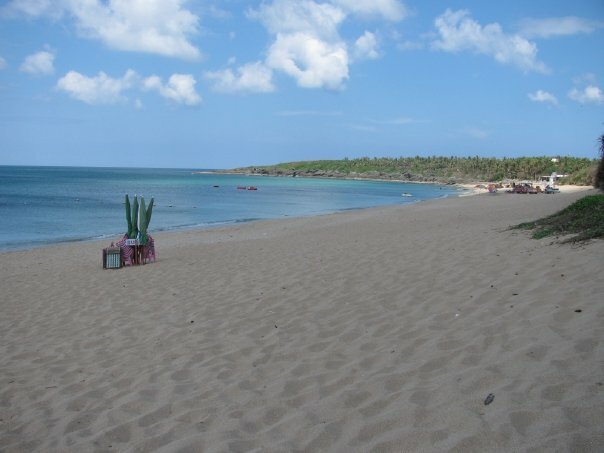 I passed by other beaches along the Kenting road. 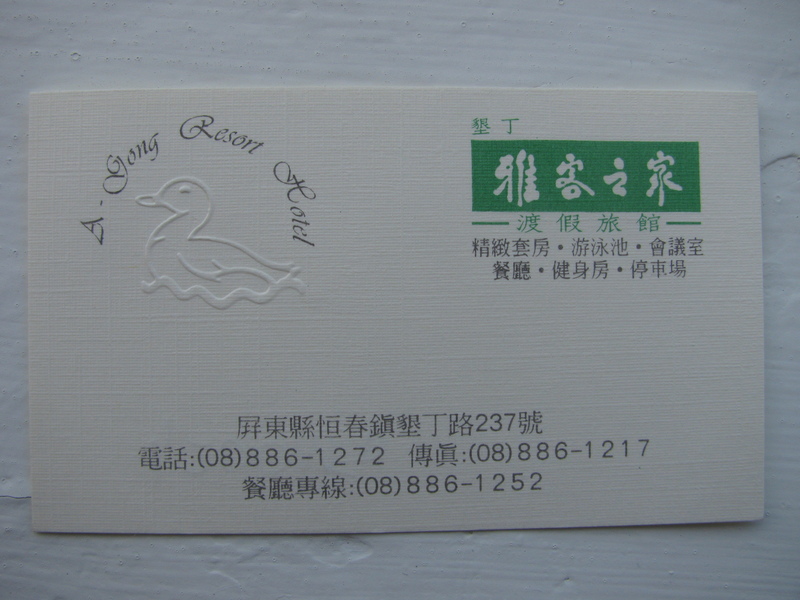 None of them was as good as Baisha, but they all had restaurants across the street. 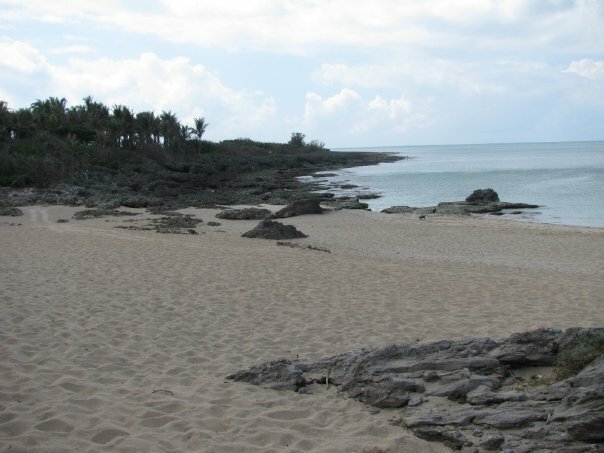 The beaches in this part of Taiwan aren’t very long and have rocks in and around them. My first stop was the Frog Rock Marine Park. The entrance fee was 20TWD and 30TWD to park a scooter. There is a hotel in this park that is used for groups of students and families. The hotel is made up of traditional looking Taiwanese buildings. The namesake Frog Rock sits at the edge of the park. There is also a beach, but I was told that it is now closed because of the storm that hit the area in early August. 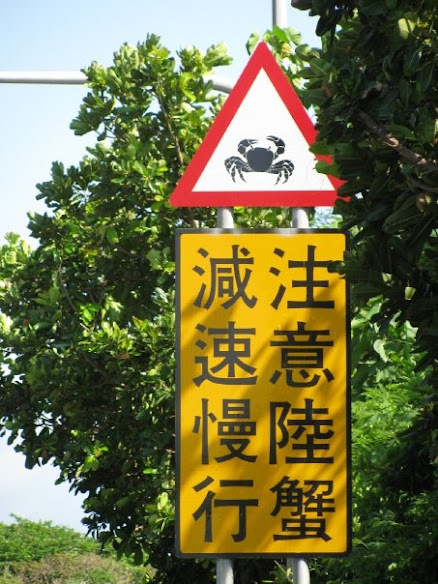 Is this a warning for me or the crabs? Stop 2. was Nixon’s Head. I didn’t think it looked like Nixon at first, but after I being out in the sun on the scooter for a couple hours I was able to see it. Stop 3. was the lighthouse. This cost 40TWD to enter and 10TWD for scooter parking. This park had some nice views of the neighboring beach, but it was really hot. Once I walked up the little hill and had a look around I was dripping in sweat. I did walk down to the sea though. It was a beautiful view of the southernmost part of Taiwan. 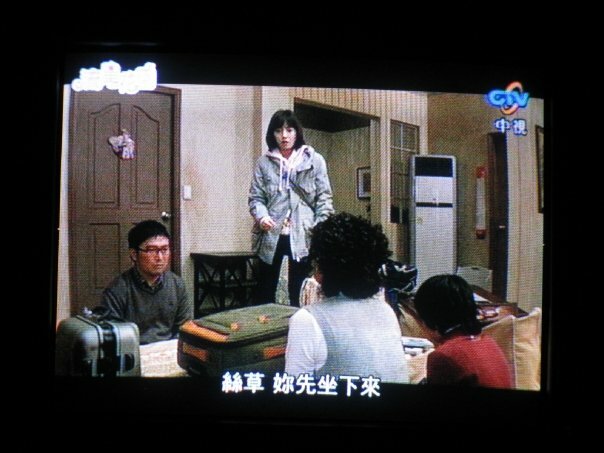 꽃보다 남자 with Mandarin subtitles! After this day I vowed not to go sightseeing again. 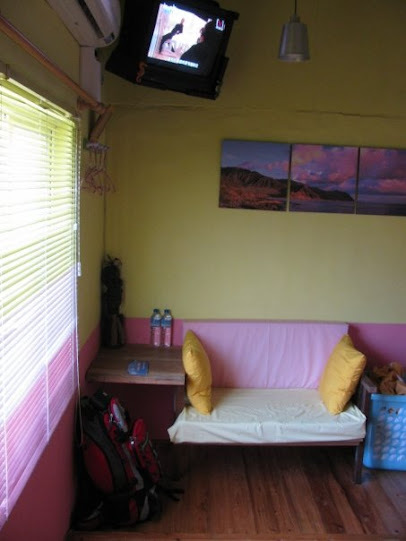 I would spend the rest of my noons indoors with the a/c on high watching “Boys over Flowers” in Mandarin. The venture on the one tour day did make my afternoon swim much more enjoyable. * My friend Michelle dared me to name my next blog entry after a republican. She thought I couldn’t do it. I showed her! Free for people staying at the hotel. This place is also a hostel, but I think there is an age limit for guests. You have to go to the youth center to get to the rock. 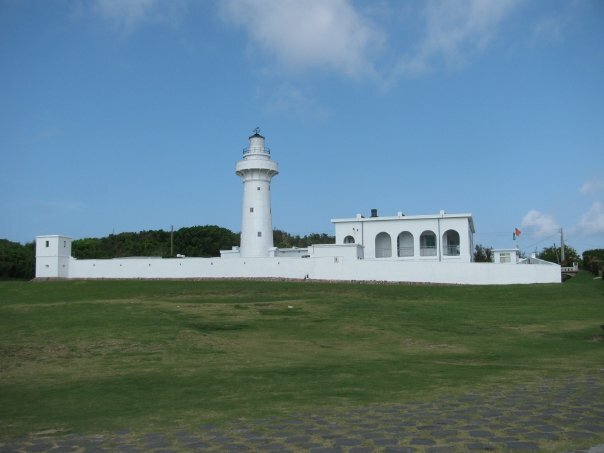 It’s along road 26 between the Kenting Youth Activity Center and the light house. … and it’s hard to see Nixon’s head in the rock. It looks more like a gorilla. Head south down road 26. When the road ends, stop. Walk around and find the path that leads to the sea. 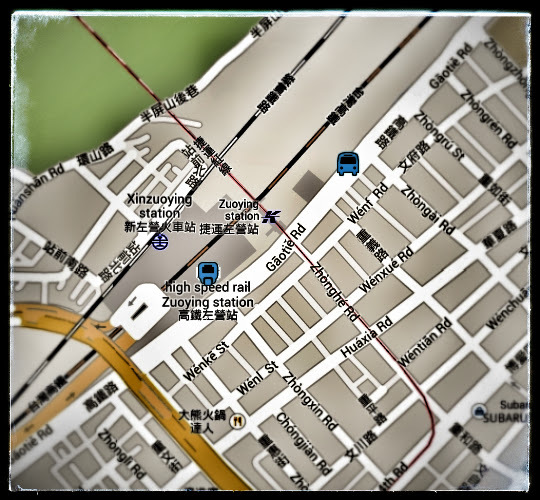 This is the southernmost part of Taiwan. There are lots of souvenir shops at the entrance, near the parking lot. You can buy food and drinks near the front gate. In the morning I checked out of my hotel. It was a nice hotel, but it wasn’t near the beach that I had come all the way to Taiwan for. This was a relaxing vacation, not a sightseeing one. I wanted to just lie around on a beach and not do anything for a week. As we were talking, the owner of the hotel overheard our conversation. “I’ll take you for 300TWD.” I don’t know if this was way too much to pay or if it was a deal, but I was willing to pay it. I would rather be sitting on a beach instead of standing at a bus stop. He took me to the Ipanema Surf House, which is run by a surfer named Max. He used to live in Brazil and is still quiet in love with everything Brazilian. It cost me 400TWD per night for a room. The rooms can be rearranged to fit many people. There were four beds in my room before I got there, but most were moved out to make it a one person room. The amenities were: free wireless internet, free internet when Max isn’t using his computer, free usage of a huge washing machine, and I think Max gives surfing lessons, though I don’t know how much it costs. The hotel I slept in the previous night cost 1300TWD a night. That hotel came with a pool. Most of the hotels along the Kenting road cost about 800TWD for the low-end hotels to way more money than I care to think about for the high-end ones. 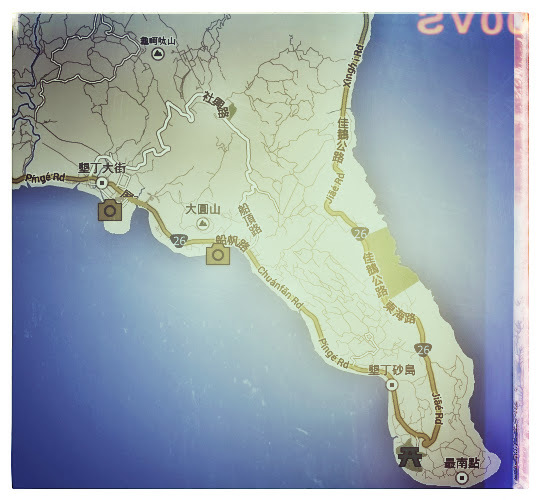 The closer you are to the populated beaches the more the hotels will cost. I was able to rent one of the two scooters that Max owned for 400TWD a day. 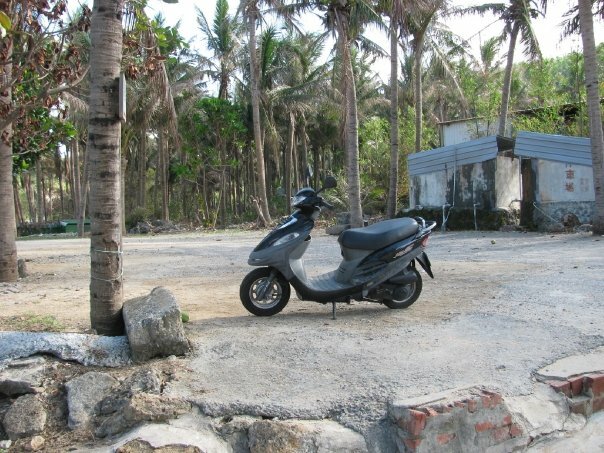 This was great for me because I had budgeted 800TWD per night for a hotel and 500TWD per day for a scooter. The scooter cost about 80TWD to fill up with gas which I did 1.5 times while I was there and gave it back to max with roughly the same amount of gas it had when I got it. Max just handed me the keys for the scooter. He only asked if I had a driver’s license. He never asked to see it or whether or not I could drive a scooter. He gave me a 10 minute lesson only after I nearly rammed his scooter into the side of the guest house. 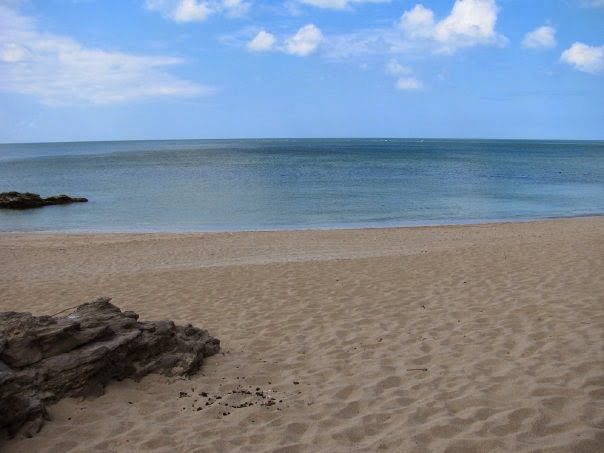 Baisha beach was not what I was expecting. I wanted an isolated beach and that is exactly what I got. But it was a bit too isolated. There were no nearby restaurants or convenience stores. Every time I got hungry I had to scoot into town. 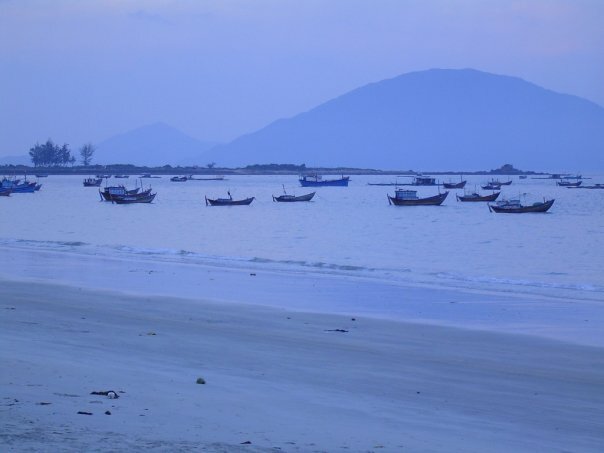 At the start of my mini-vacation I wished I had gone to Paradise Beach Resort in Vietnam. There I never left the beach. It cost 20USD per night and included 3 meals a day. 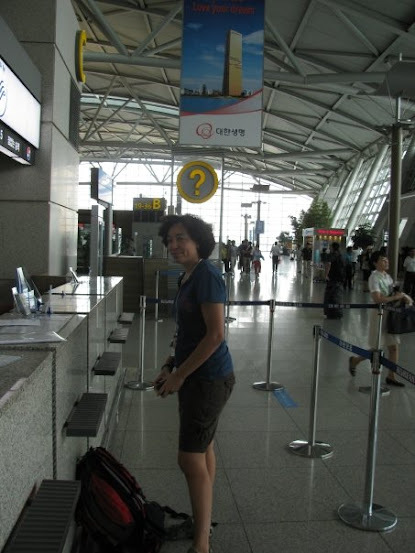 But I purposely chose not to go to Vietnam because I had already seen Vietnam and I had never been to Taiwan. 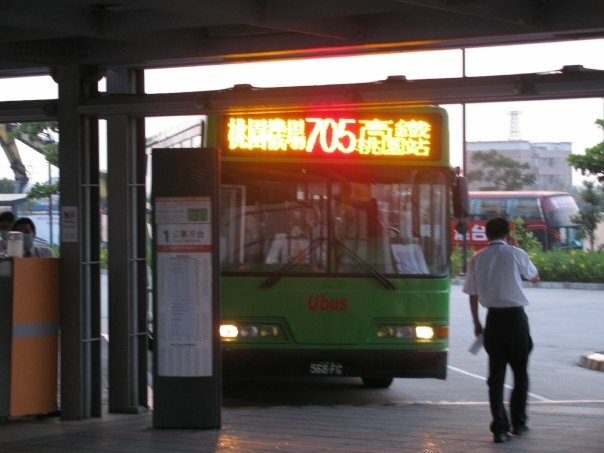 a bus from Kenting to Hengchun and then a bus from Hengchun to Baisha. 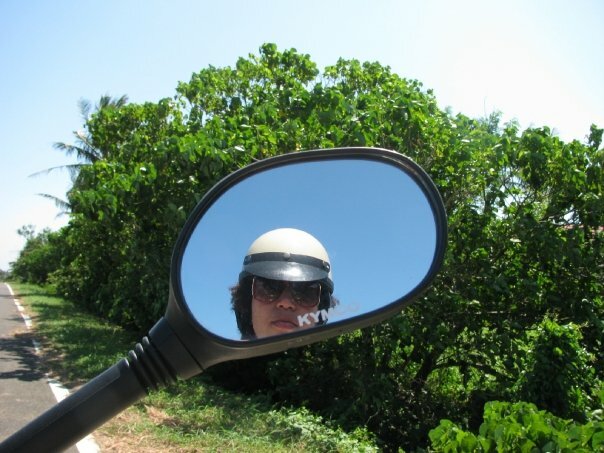 Go north on the Kenting road. 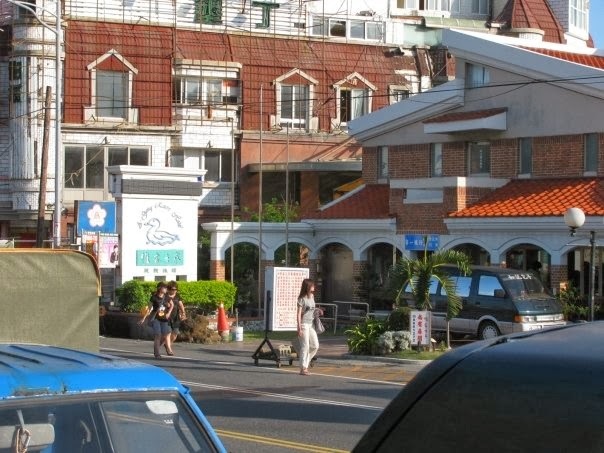 Once you pass Nanwan beach look out for a 7/11 on the corner of a big intersection. Turn left there. The road will end at a T-intersection. Turn left onto that road. Stay on that road until you see signs that say Baisha. 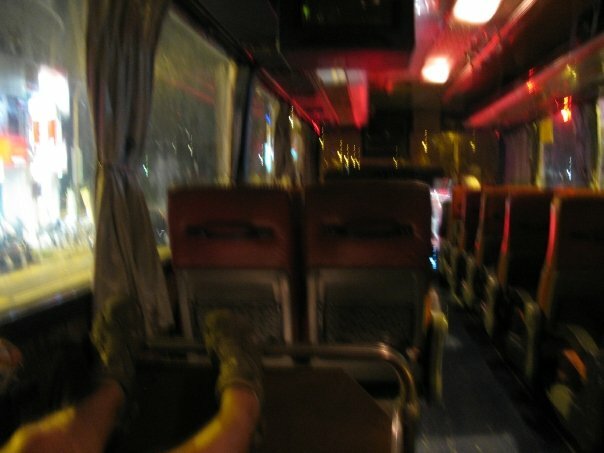 Taxi – no more than 300TWD. 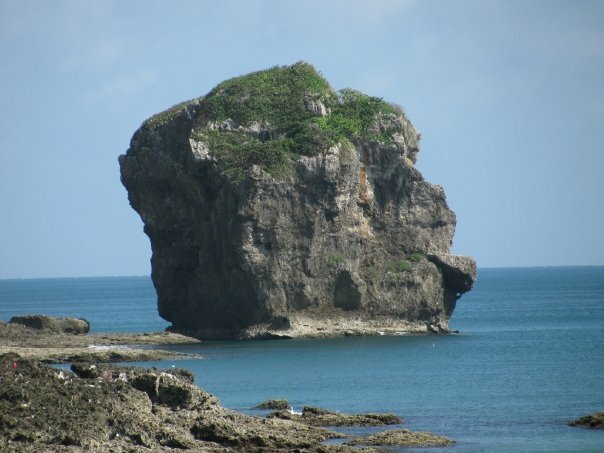 There is more than one beach in Taiwan with the name Baisha. 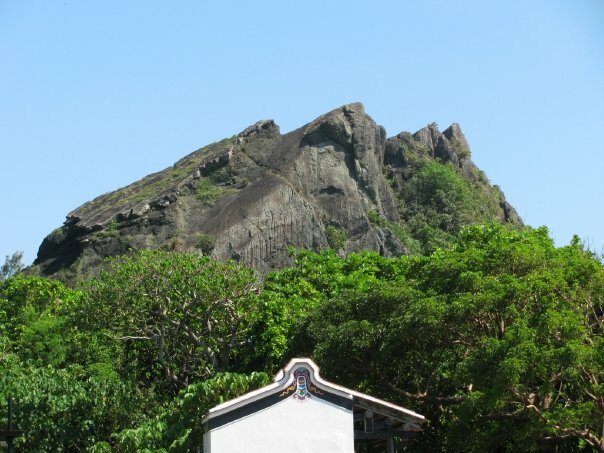 This is the one near Kenting. 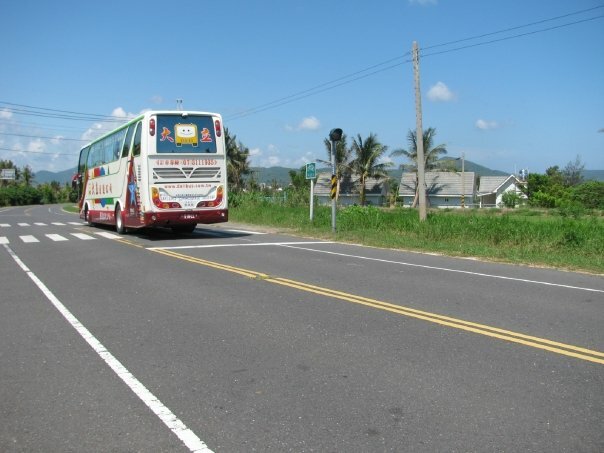 Go north on the Kenting road. 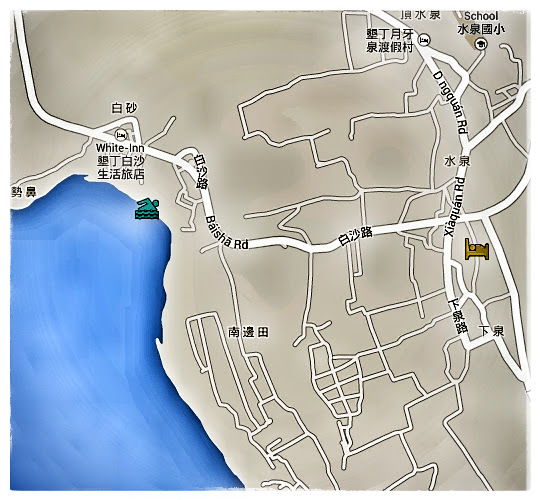 Once you pass Nanwan beach look out for a 7/11 on the corner of a big intersection. Turn left there. The road will end at a T-intersection. Turn left onto that road. Stay on that road until you see a temple. There are several little shrines, but you are looking out for a temple. There will be a traffic light a few meters from the temple and a road between the light and the temple. Turn left on that road. The Ipanema Surf House is at the end of that road. The name of the owner is Max. He used to live in Brazil. This place is popular among surfers. Max offers surfing lessons for a fee. You can use the kitchen and store stuff in the fridge. You can do laundry here for free. Laundry detergent is free too. The rooms have air conditioning. The showers come with free shampoo and body wash. 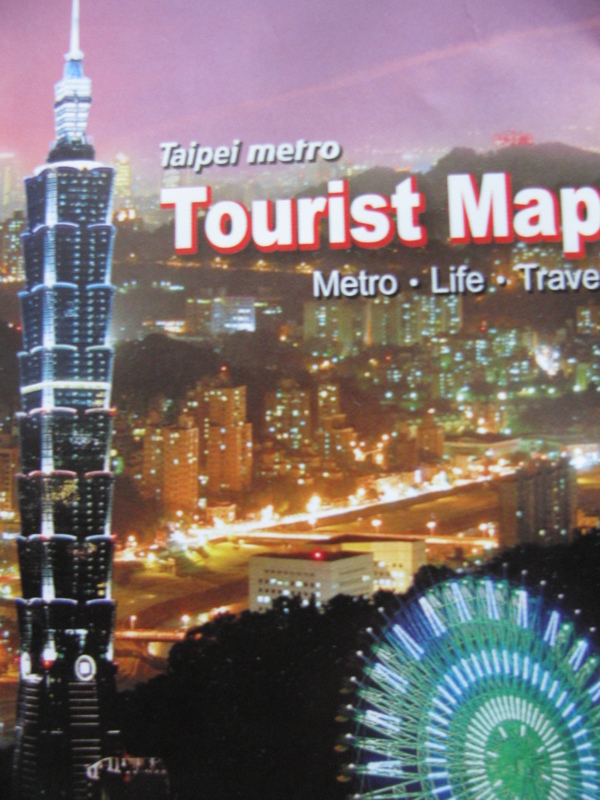 There aren’t any restaurants nearby (within walking distance on a hot Taiwanese summer day). There is a corner shop that’s about a 10 minute walk away from the house. It’s really just an old guy sell snacks from his garage.